Mr P returns with a brand new hot single titled “Zombie” featuring Simi. Mr P (Peter of P-Square) continues with his solo music career as he chuns out another hot single good enough to get you wanting for more. 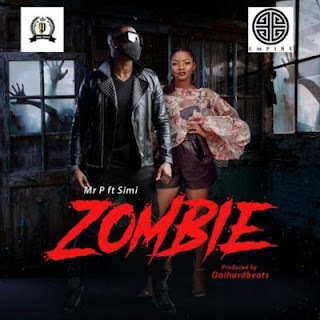 Mr P showed his rare talent on this song as he links up with X3M music Diva, Simi to spice the song with some nice vocals. This new record produced by Daihardbeats is sequel to his still buzzing song “Wokie Wokie” he decides to serve his fans with another banger before the year runs out. The video will drop soon, stay tuned. Oya o get on your headset!